The Iron Gate Hotel & Suites, located in the 14th century building which was carefully renovated with all modern upscale facilities and comfort, while retaining its original works of art, charm and ambiance. 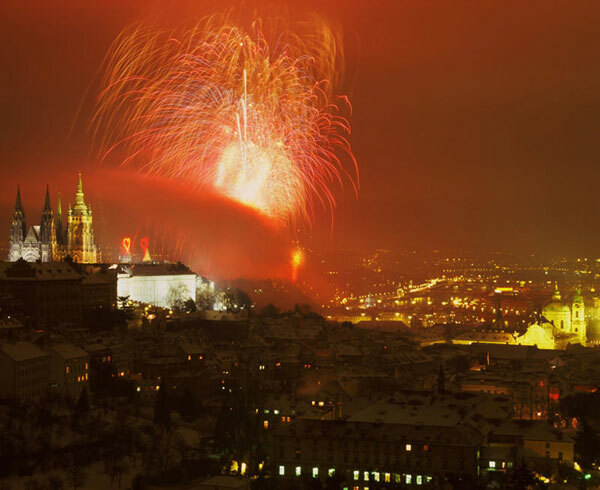 This project was nominated and awarded as one of the best historical renovations in Prague for year 2003. 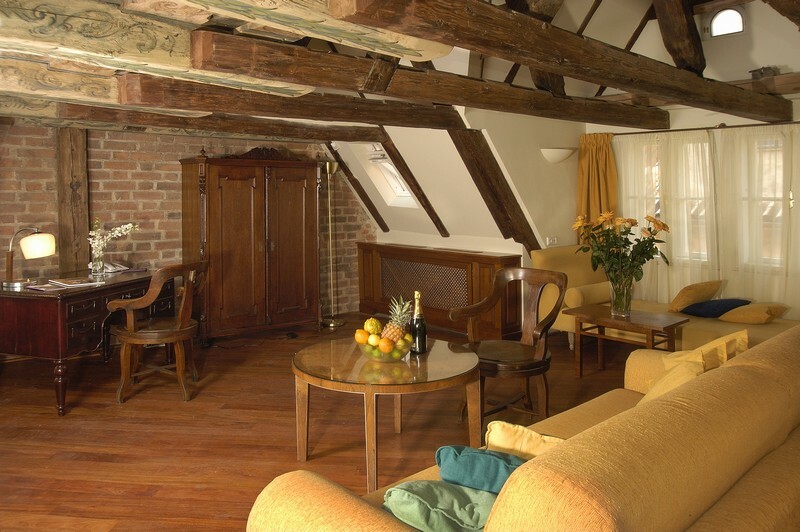 Located in the heart of Prague’s Old Town, in a picturesque, cobbled side street just steps from the famous Astronomical Clock in the Old Town Square. The Iron Gate Hotel & Suites is the perfect choice for enjoying the wonders of Prague, in spacious, elegant and historical surroundings. Prague stands for many things : music and theatre, Kafka and Mozart, beer and dumplings, but especially for its romantic, charming and unforgettable atmosphere. 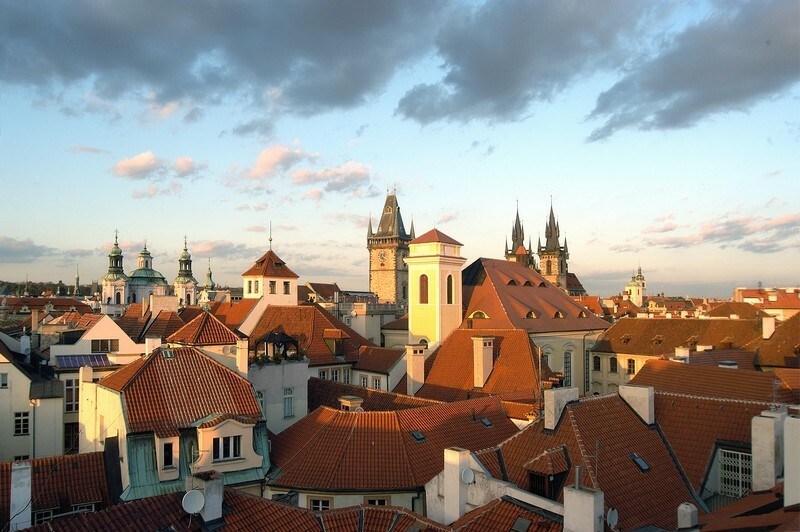 While staying here one doesn´t need to look for the charms of the city – historical Prague will be your constant companion. 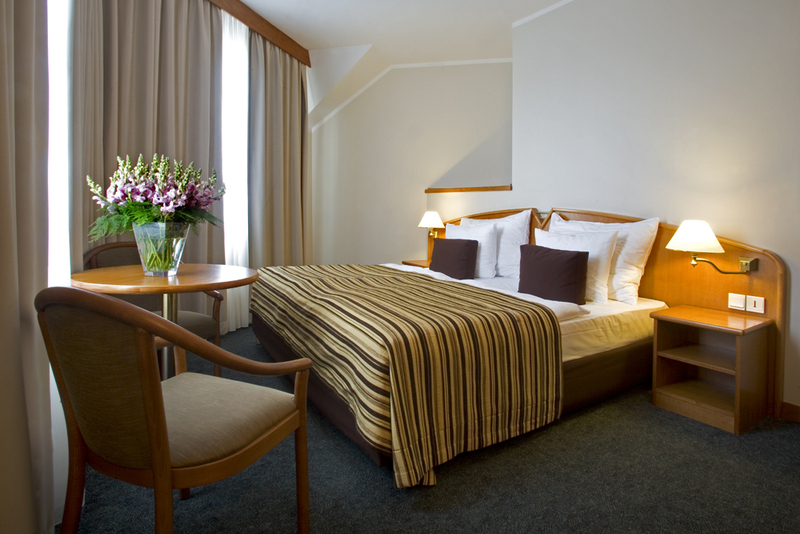 Hotel Praha belongs to the most luxurious hotels in Prague. Exciting atmosphere of all 137 newly refurbished rooms provides you the highest standards of comfort together with splendid view of the city and the Prague castle. The hotel provides the top class services and it is an ideal place for relaxation, as well as for the conferences, business meetings and presentation events. 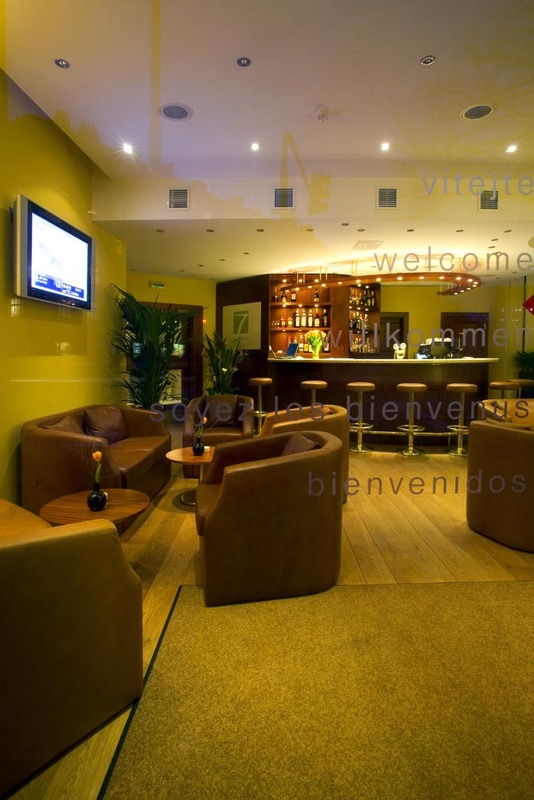 The hotel is situated 15 minutes from the historical city centre and 10 minutes drive from the airport. It is pleasant to visit a busy city and at the same time live in a quiet and peaceful environment under old chestnut trees. To take a short stroll in the morning, to lunch at noon in our period restaurant and yet be fifteen minutes away from the centre. This is comfort you can afford only with us. In the Zlatá Praha Hotel you will find pleasant staff, perfect service and a welcoming environment, all at an attractive price. The hotel with its romantic and harmonious interior is suitable not only for demanding tourists, but also for the holding of wedding feasts, corporate evening, conferences and other cultural events. The four star Plaza Alta Hotel has been specifically designed to meet the needs and interests of both business and pleasure travellers, by offering a unique combination of comfort and affordability in a quiet and easily accessible location. Having undergone a totally new re-design during the winter of 2006, the Plaza Alta Hotel is now one of the only hotels in Prague to offer a truly international level of service, comfort and convenience away from the hustle and bustle of the downtown city centre. Newly reconstructed building of the famous publishing house Melantrich situated in the largest Prague boulevard Václavské náměstí, the very heart of Prague amidst stores, boutiques restaurants and entertainment. It offers accommodation in luxury apartments with balconies or terraces, Each apartment has bathroom, kitchenette with refridgerator, washing machine and dish-washer, and one or more bedrooms with satelite TV. In the building itself you will find restaurants, underground parking, business services, fitness centre, plastic surgery, hairdresser, baby-sitting, etc. 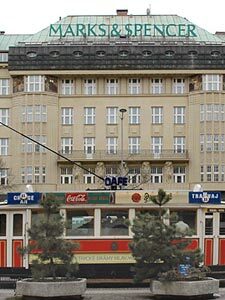 The hotel was built in 1920 in the Art Nouveau style on the famous Wenceslas Square directly in the centre of Prague. As its name Ambassador – Zlata Husa suggests, the hotel consists of two parts. The tastefully furnished comfortable rooms are all airconditioned, and have private marble bathrooms with jacuzzi bath and shower. All rooms are equipped with minibar, SAT TV, direct dial phone allowing conference calls with up to six persons, fax, internet access, safety deposit box and hairdryer. The four-storey building is situated in Prag 9 in the neighbourhood of newly built in sports hight-tech arena – Sazka Arena (2 minutes walk). Hotel has been recently refurnished in March 2004. The hotel has 24 double rooms (with the posibility of additional beds) and one single room for handicapped customer. Some rooms are equipped with extra comfortable sofa suitable for 2 person. Hotel can accommodate 64 people in total. Every room has shower stall, toilet and TV with satellite programs and telephone. There are two elevators in the hotel. Fax and e-mail service are available at the front desk, Internet connection as well. Parking is available in front the hotel or in the garage. There is buffet breakfast. The hotel is 3 minutes walk from „Ceskomoravska“ metro station, a tram stop is behind the coner. It takes about 7 minutes to the center by public transport. The „Krč“ Castle is reconstructed in this time. Krc Castle accommodation comprises of 32 comfortable double rooms. Cosy restaurant with its great Czech and international cuisine offers a wide choice of drinks and meals in a friendly atmosphere. A garden terrace is a perfect meeting place for aperitifs, cocktails and coffe breaks during summer months. Charming hotel chapel offers its space for conferences, firm presentations, buffets and weddings. 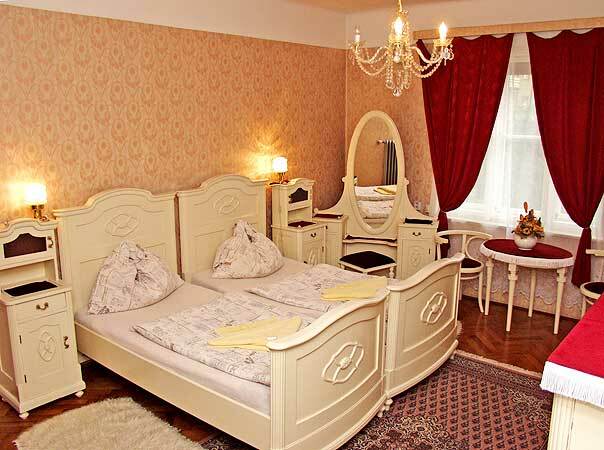 Guest house „At Golden Tree“ is located in the historical centre of Prague, in the scenic yet tranquil area of the Prague Castle called Nový Svět (New World). Cosy bedrooms with private facilities, ample buffet-style breakfast, kitchen available. Friendly atmosphere, affordable prices. House At the Golden tree also rents out apartments in the neighbourhood. 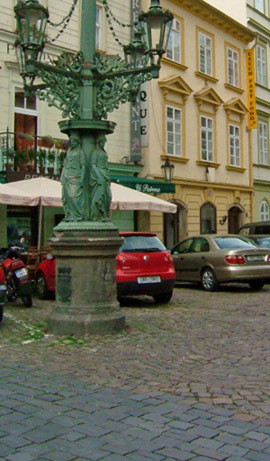 All our locations are situated in the historical centre of Prague – in the area of the Prague Castle. 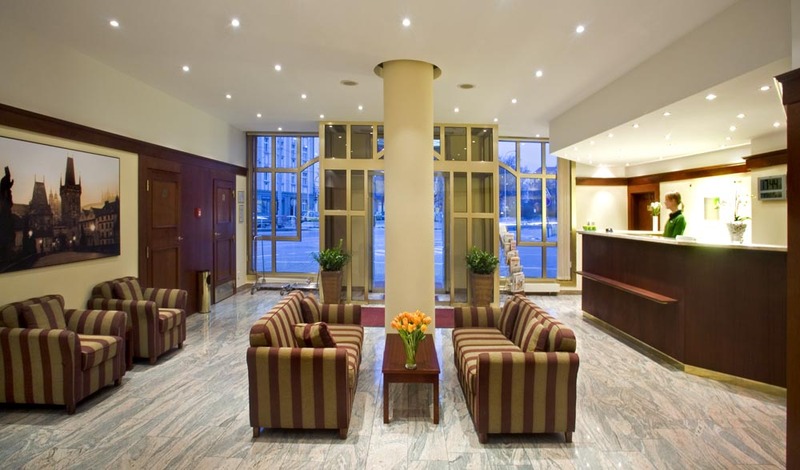 Jalta Prague hotel is located on the Wenceslas Square, classified as a cultural monument, the hotel has recently undergone a major refurbishment. 94 de luxe guest rooms fully air-conditioned, equipped with direct-dial telephone, SAT TV, PAY TV, Japanese TV channel, safety boxes and minibar.All rooms have bathroom with bathtube and hairdryier. 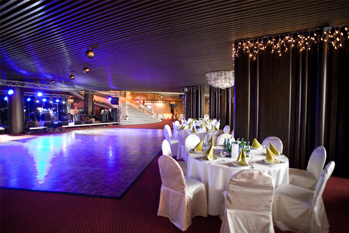 JALTA Restaurant, HOTEL LOBBY Café-Bar (with summer terrace), Conference and Banqueting Center with capacity up to 250 people, Bohemia Crystal Boutique, Casino, business services. 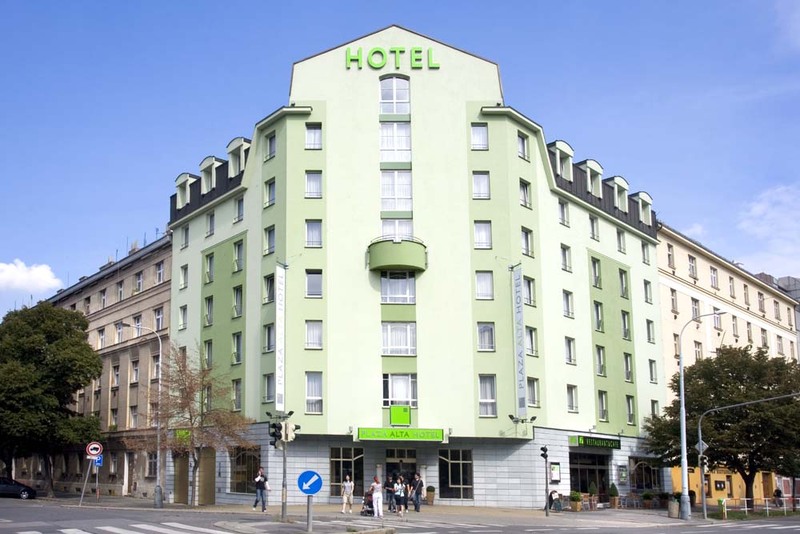 Hotel Popelka is situated in a quiet part of Prague, just a few steps from the Andel shopping and cultural centre and not far from the historical heart of Prague. Recently renovated hotel. 7 single rooms, 15 double rooms and 2 suites. Each of them equipped with private bathroom (bath or shower), toilet and hair dryer; SAT TV, radio, minibar, safe and telephone. Guarded parking within the hotel complex. 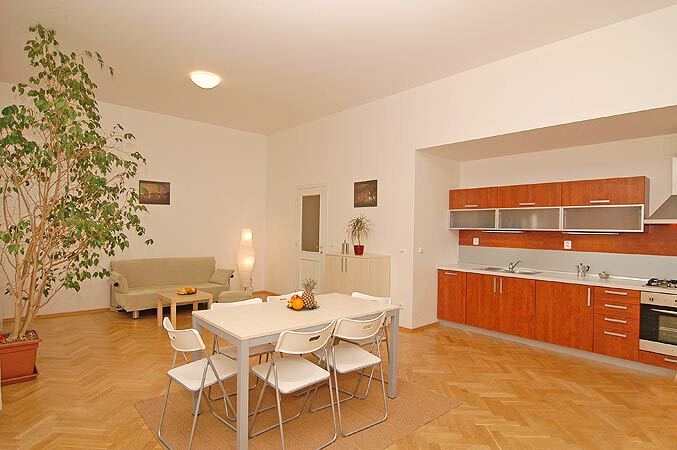 Prague residence situated in a very luxurious environment in the very heart of the city, next to the Charles Bridge. A small hotel adapted to futuristic needs still suitable for business travellers, too. 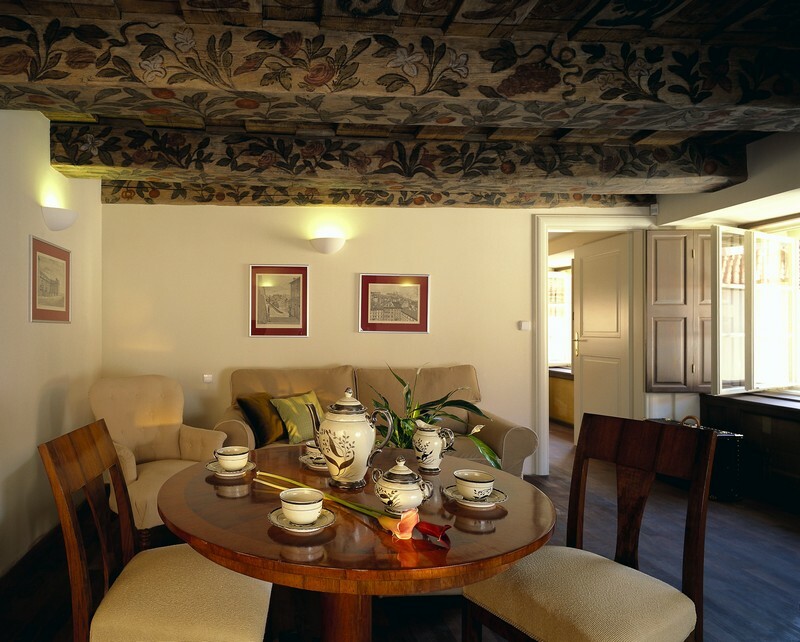 An almost 700 years old house carefully restored with beautiful rooms and stylish interior. Every suite is equipped with kitchen, massage-jacuzzi, and computers with access to internet. 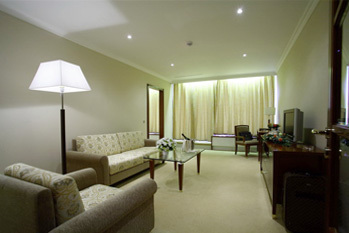 The residence pffers all the 4 star hotel standard. Blue Lion Restaurant offering Czech specialities, wine cellar with part of the oldest stone bridge in Europe – Judith Bridge. At Happy House Rentals you’ll find a group of open-minded young professionals with a new take on the real estate business. Our motto is “nothing is impossible” – we will do our best to find you the home or apartment of your dreams. 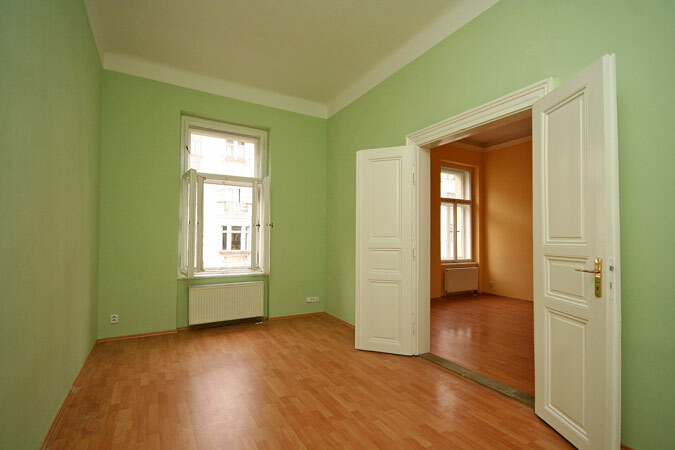 Whether you are in Prague for a short visit, or perhaps a longer term, Happy House Rentals has the place for you. We operate in the center of the Golden City, as well as its surrounding districts. We will work with you to find you a place that fits within your budget and expectations. We are here to serve you, 24 X 7. When choosing Happy House Rentals you’ll find that we take care of you for your entire stay. Our goal is to make your transition as easy as possible, so if you have any questions we are always just a phone call away.